Dr. Jeffrey Kocher is a graduate of Cornell Medical School and completed his postgraduate training in both Internal Medicine and Infectious Diseases at the New York Hospital Cornell University Medical Center. 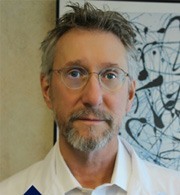 He is board certified in both specialties and holds an academic appointment at Mt. Sinai School of Medicine. He has repeatedly been named among the best Infectious Disease physicians in New York and New Jersey by New York Magazine and New Jersey Monthly Magazine. Dr. Kocher has a broad interest in the entire spectrum of infectious diseases with particular emphasis on the treatment of chronic hepatitis, HIV, chronic fungal infections, osteomyelitis, endocarditis and Lyme disease. He has participated in numerous clinical trials including those for new treatments of Clostridia difficile infection. Dr. Kocher has authored chapters for several texts on infectious diseases and published numerous case reports. He is an avid skier and bass guitar player.